Premium quality Crystal Quartz Gemstone set in a decorative silver color metal cap. Perfect for those interested in meditation, energy healing, crystal healing,reiki, yoga, wicca, feng shui and psychic development. Beautiful Piece. Was Shipped Out To Me So Quickly. Packaged Carefully ❤ Would Definitely Recommend! Beautiful fantastic piece love it. 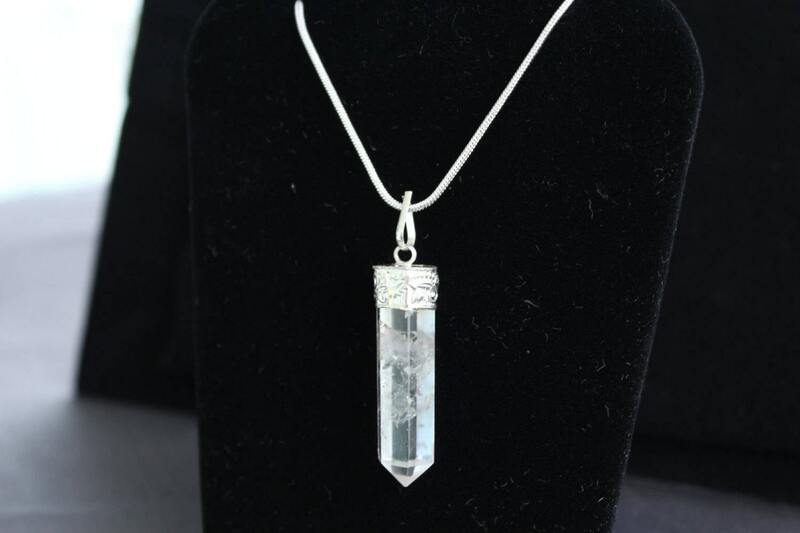 I really like this necklace, i love clear quartz period. So happy with this purchase!